Portion of a DVD case cover. 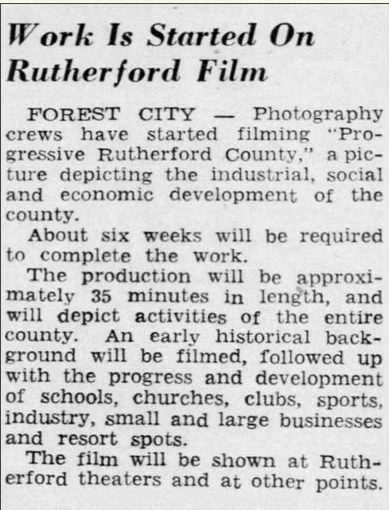 The old film might have remained forgotten but someone ran across an account of it in a 1948 news story. When Robin Lattimore, president of the Rutherford County Historical Society, Phillip White and other members read the story, the chase was on. Did a print of the film exist? Who might have it? They found that indeed one did exist, in the possession of a member of the Littman family, owners of the Sylvan Theater in Rutherfordton. The 35mm film, on two big reels, was donated to the society, but there was no way to view the film locally. (Theaters no longer use film projectors, they’ve switched to digital.) Long story short, it became a major project. The society spent several thousand dollars to have the film digitized, and to recoup the expense, had DVDs made for sale. 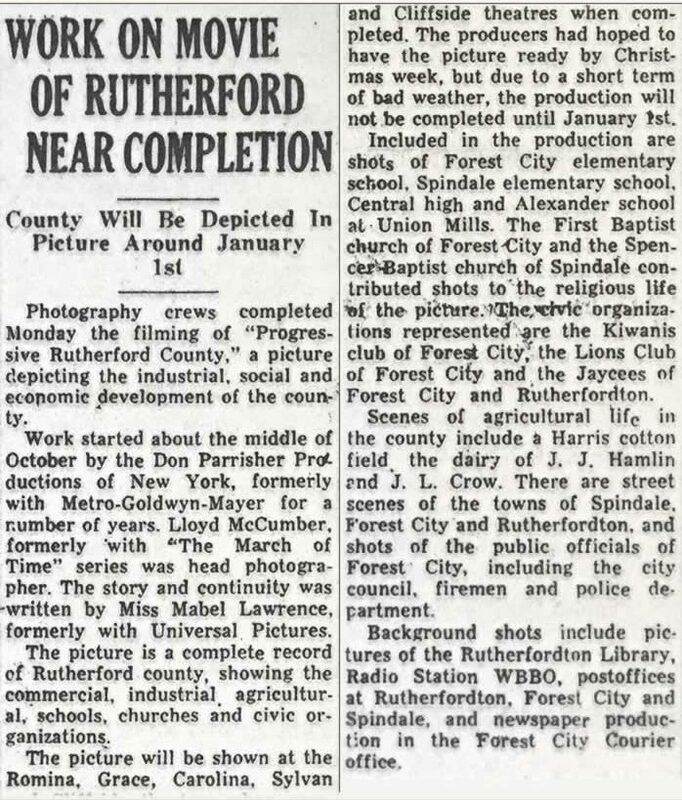 Now the Rutherford society has allowed us to put the film on YouTube (and here) for everyone to enjoy. 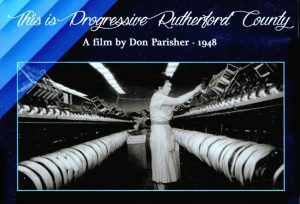 The film must have been commissioned by merchant groups, for there are short “commercials” for many of the stores and businesses in the larger towns. Oddly, no mention was made of any in the lower end of the county. You will likely marvel at how things have changed since 1948. Consider this: Everything you will see in the film was made right here in America.